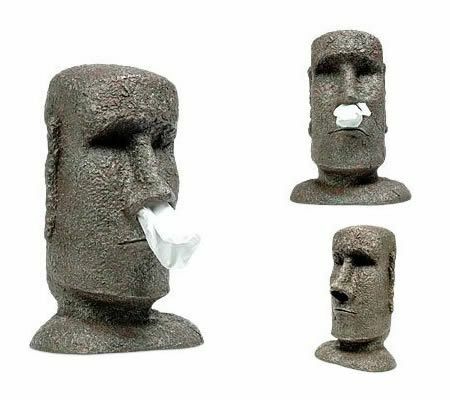 The Big Maoi Tissue Dispenser is a cool tissue dispenser which makes it looks as if the statues on Easter Island have all caught a cold. It stands at 34 cm tall and costs US $57.82. 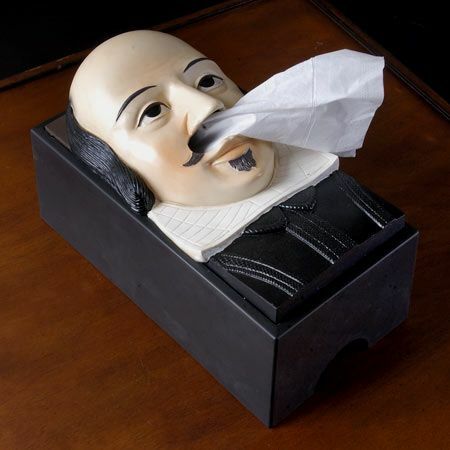 It’s time to cover that boring old floral tissue box with something a bit more dramatic, like the Shakespeare Tissue Box Cover. 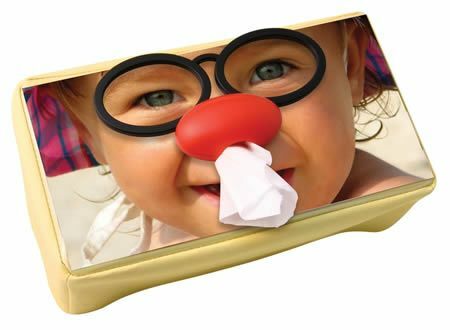 Yes, the legendary Bard has been converted into a cool tissue box cover that allows tissues to dispense from his nose. If Romeo and Juliet makes you cry, this it the perfect gift. 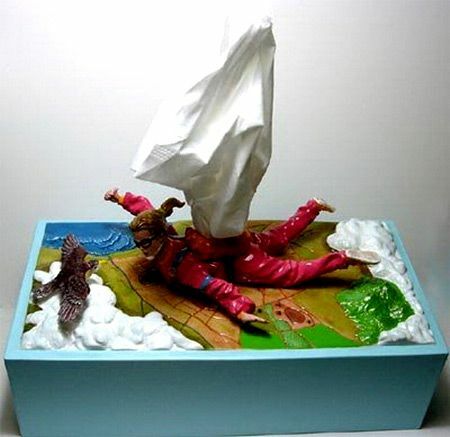 If you are an extreme sport fan but had to stay home this weekend because of the flu, you are gonna love this parachute tissue box art. 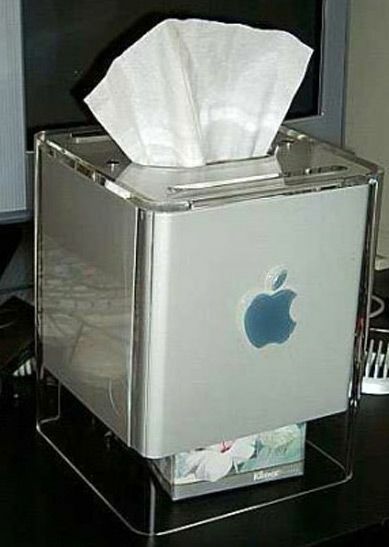 A customized tissue box made of a Mac Cube by an Apple fan. 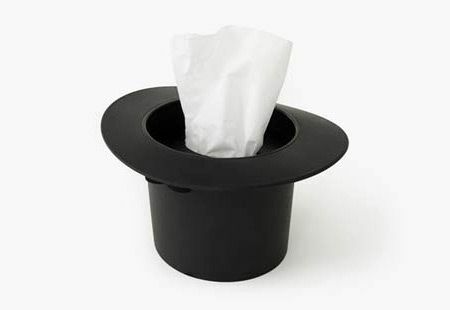 Become a magician with this unique tissue dispenser. 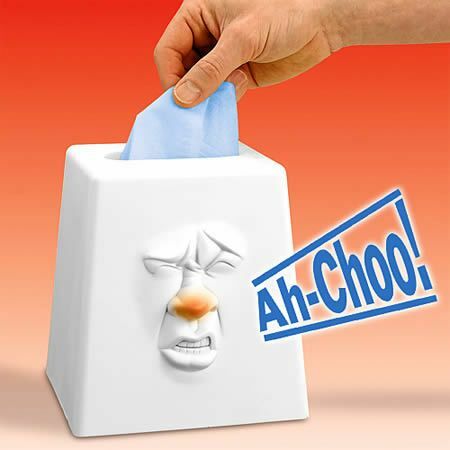 Everytime you pull out a tissue, the box will give out a little sneeze/cough of its own. By hearing of this kind of funny sound, your illness is going to be better soon. Price: $19.98. 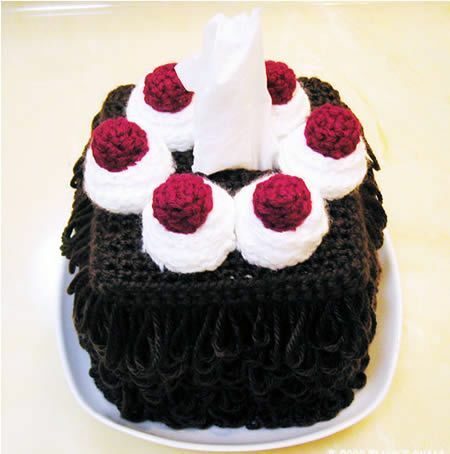 This tissue box cover is intended to be personalized! You can print your own photos and add black glasses and a red nose. Black is back in Japan, with everyday household items and health goods taking on a darker tone to show casual luxury and sophistication. 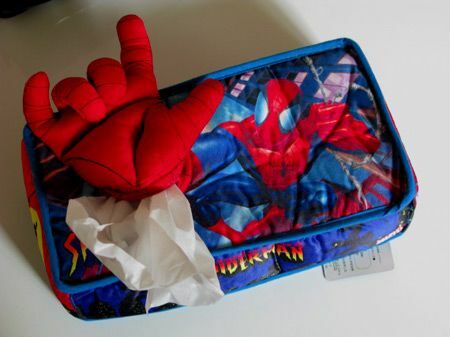 This cover wraps around a tissue box, so Spider-man can shoot tissue into your nose from the web-slinging apparatus in his wrist. The legend around this Tiki Tissue Box holder comes from the Polynesian island people. The people from the island of Panoi-Panoi believed that sneezes angered the Gods and that is why people today say “God Bless You”, when you sneeze. 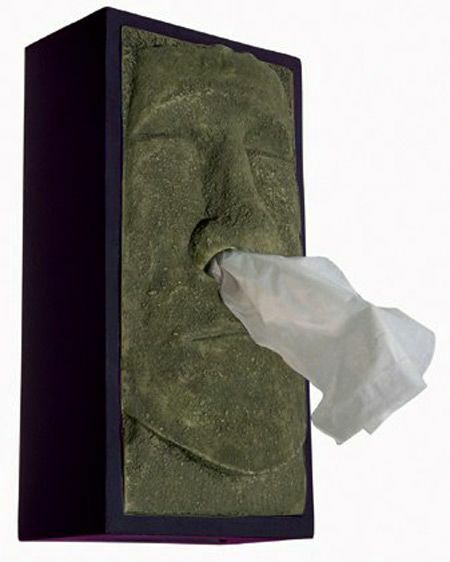 So, anyway this Tiki Tissue Box Holder was created as a reminder of the people that once inhabited the island of Panoi-Panoi. 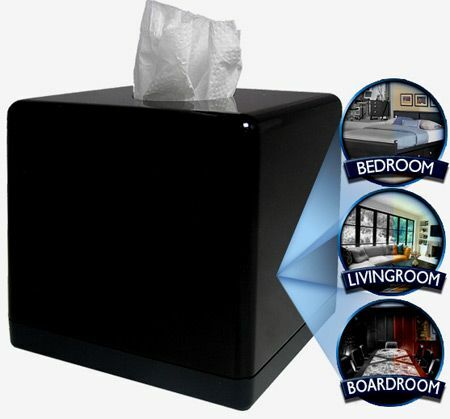 The Tissue Box Hidden Camera DVR is a digital spy camera disguised as a box of tissues, designed to sense movement and capture video clips through the outer plate in 720 x 480 resolution. The camera can record in both high-lighting and low-lighting situations, and has a 6-hour rechargeable battery. You also have an SD card slot for expanding and transferring video capacity and a remote control for controlling the camera. Prices start at $599.95.